"Everyone at work always asks for this recipe, and the bowl always comes home empty! It may sound strange, but it is so good!" 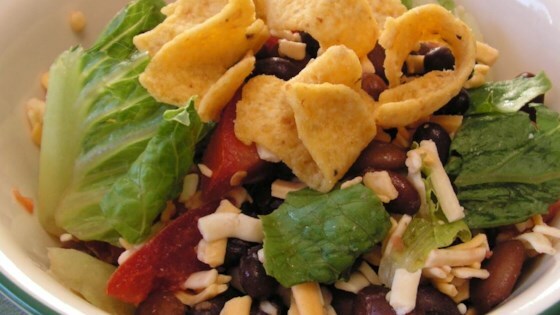 Tasty, tangy, quick taco salad!